I recently acquired a second hand TAL 100RS. Its owners manual showed it as being manufactured in August 2008 and it carries the serial number 0935. I thought I'd do a review on this rather fine instrument as users of the TAL scopes are often very devoted to them but few people ever seem to recommend them when beginners ask the eternal question "what scope should I buy ?" 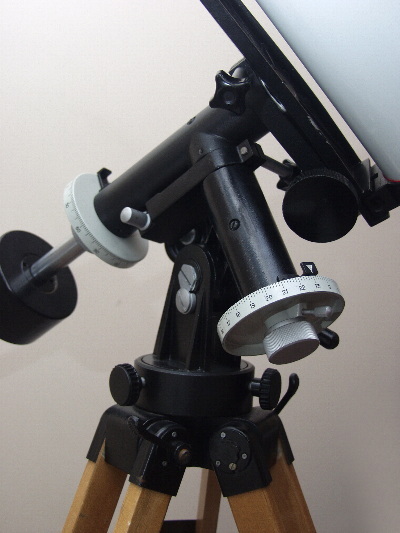 The TAL was being sold by a very big fan of refractors and we agreed a price of £195 for the scope which included both the OTA and the original TAL equatorial mount complete with the TAL wooden tripod. When the TAL was unloaded from the sellers car it was still with its original cardboard box which was one very large and heavy carton. I duly loaded it into my car and drove it back to my flat after a cursory inspection. Now the scope with its mount in the box is one VERY heavy piece of metal and it took two of us to lug it up the stairs to my flat and probably looked to my neighbors as if we were carrying a coffin up the stairs. Once in the flat I set about setting the scope up to have a close look and I was very pleasantly surprised. TAL scopes have a reputation of being well made but a little cranky in the looks department. The quality of the scope was really quite amazing. It had a deep lustrous white enamel tube and the tube feels solid and well made. Like any 2nd hand scope the tube had a few small nicks and scratches from its rings but was in beautiful condition. The EQ mount is very agricultural but not more so than EQ mounts made by manufacturers in the 1970s. 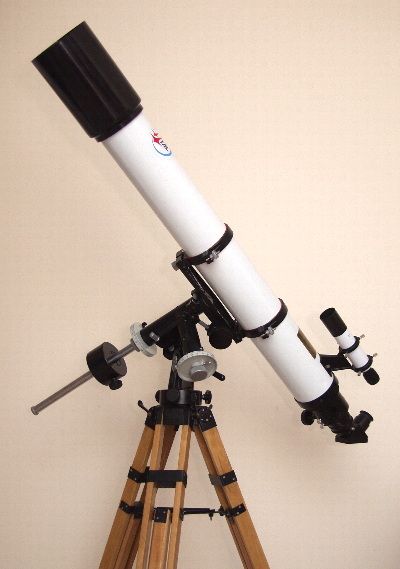 Once set up I have to say the TAL 100RS looked rather fetching, a very traditional looking achromat with its white tube, black fittings and wooden tripod it hails back to a more elegant age of astronomy and looked rather beautiful. The TAL 100RS and EQ Mount - Traditional and elegant. Its as good to look at as it is to look through. The scope was as supplied from the factory with no user applied modifications. The 100RS is a 4" aperture 1000mm focal length (f10) scope. The white finish is deep and lustrous and the scope tube has four light baffles. The quality of baffling fdoubtless contributes to the very fine contrast in the view when using this scope. Some of the baffles show small gaps with the tube wall which is common with 100RS units. These do not appear to introduce any light scatter and looking down the tube centre line no light appears to be visible except along the optical axis. The real surprise was that the scope was fitted with a factory supplied and fitted Crayford focuser that compares favorably for feel with my Moonlite unit on my 8" reflector. The TAL unit is single speed only but a model of smoothness. It's equipped with both a focus lock and a tension adjuster as well as being rotatable through a conventional locking collar. This scope appears to be relatively unique as few other TAL 100RS units have the Crayford but I understand this is to be standard on future units. The quality of the focuser alone would justify the cost of this scope over Chinese built rivals. The tension adjuster is quite coarse and needs a fair bit of pressure to tighten it down. At its tightest setting it can haul drawtube loads of 2.5lbs relatively easy. Focusing is never less than smooth but with a light load and the tension slacked off it can surpass the Moonlite focuser in its silky feel. The focuser accepts 2" eyepieces and the scope was supplied with its original 2" to 1.25" adapter and diagonal. All of these use a single thumbscrew to lock eyepieces into place. The drawtube when fully extended is 168mm long from the EP end to the housing. The 1.25" adapter adds an extra 20mm and subsequent testing showed all of my eyepieces would come to focus either with or without a diagonal which was nice as the earlier TALs are reputed to have focus problems with some eyepieces due to their limited focus travel. I cant believe anyone would have problems with this example as the focuser racks in and out by a very large degree. The focuser wheels look like plastic but are actually metal and have a solid feel in keeping with the overall quality. The objectives don't show the classic purple coating of the previous generation TAL 100R models with the 100RS objective showing a very subtle shade of green/blue. For an all-metal construct I was rather surprised that the dew shield is actually plastic. Its quite a soft plastic which is well moulded with no flash or mars and fits snugly around the scope tube. The overall feel of the tube is that of a scientific instrument, its precise and solid and I suspect it will long outlive me. The 6x30 finder supplied with the scope is simply marvellous. One of the best I have used (and if you have seen my review of finders) that's quite a few. Like the scope its finished in a lustrous white. The objective shows a classic deep purple coating. 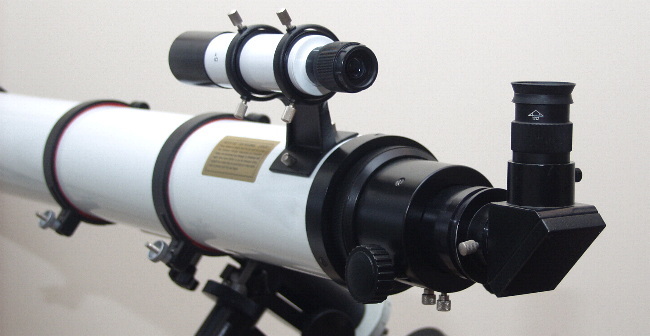 The focus is achieved through a very slick helical focuser on the eyepiece and the scope comes to focus very readily. It has well defined crosshairs and provides a bright, sharp view. Like the scope it's equipped with a plastic dew shield which push fits onto the finder. The finder mounts to the tube through a TAL specific mount that bolts to the side of the OTA. Some TAL 100 variants have the finder bracket on the focuser. This particular model has the finder attached to the OTA via two thumbscrews. Removal and reinstallation of the finder showed that the finder kept very good collimation with the main scope optics. The finder is held in place through a conventional pair of collimating rings. The finder itself is equipped with metal hoops around the finder body to prevent the finders white finish being damaged by the ring bolts that adjust the finder. On some scopes this unique fitting of the finder bracket may be a problem as it may restrict upgrades to the finder. To be honest the supplied finder is so good I can't imagine you'd ever want to upgrade it. The TAL EQ Mount - Its a bit agricultural but as solid as a tank. The EQ mount is best described as agricultural. Its the smaller of the TAL GEM mounts but it's solid, cast and very primitive, It feels solid enough but testing showed the mount did in fact flex a little with the TAL 100RS tube as the tube itself is rather heavy and long. The mount is coated in a poor quality black enamel so beloved of Lada in their heyday BUT when all is said and done it's as solid a mount as you will ever find for its size. One of the mounts oddities is the fact that its RA slow motion is limited to about 10 degrees of travel rather than being on a worm gear with infinite travel. The axis clutches lock the mount securely and the slow motion controls are relatively smooth so long as you are gentle. Fast movements of the slow motion controls create a nasty judder in the view through the scope but under careful handling the motion can be very smooth and certainly no worse than most low cost mounts from China. The mount uses a non-standard fitting for its dovetail which is fixed as part of the mount. The rings as supplied can fit a Sky-Watcher standard dovetail though if you want to change it over onto a more modern mount. My tube rings had a fair bit of slippage in them caused by worn felts. This only really showed with my heavyweight eyepieces and was easily corrected by applying new felt to the rings. The setting circles are large, easy to read and flat grey and to be honest Chinese manufacturers could learn from the Russians on this score. The mount sits on a TAL wooden tripod which is amazingly solid and well made. Some of the metal components are poorly japanned rather than nickel-plated but that's a very minor complaint as the overall quality for the wooden mount is very good indeed and well thought out which shows in small details like the tripod having a securing strap built in so the legs can be tied together for transport. Overall the mount and tripod form a solid base for the 100RS being well made and vastly superior in everything except looks, which are more traditional than high tech, to most similarly sized and priced mounts. The scope was bought with only the 1.25" TAL diagonal and a 6.3mm TAL Plossl. The diagonal appears as good as any and is of very solid construction. Interestingly when I removed the back of the diagonal for a look it has four screws to adjust collimation of the diagonal. The diagonal is threaded to accept filters and all of my filters threaded onto it easily enough. The overall quality of the diagonal is excellent and views with it easily rivalled a mid range Chinese 2" diagonal. The scope and mount provide a well-balanced combination. The mount provides the rather long tube with a very solid base. There's very little flex in the system and the wooden tripod provides a super stable and traditional platform. The overall quality of the system has a few patchy bits but nothing that can't be remedied with a small amount of DiY (like adding new felts to the tube rings). The look of the scope is very traditional and it's rather charming - it rivals my vintage Polarex in the looks department and has a solidity and slickness of feel that much more expensive scopes can overtake but I seriously doubt if anything in its price bracket can rival it for looks, solidity and fitness of function. It's a very appealing looking telescope with bags of character and soul and feels like a real scientific instrument rather than a piece of consumer electronics. The beautiful 6x30 finder and simply amazing Crayford focuser - those alone would make this scope a winner... ....when coupled with its razor sharp optics its unbeatable at the price. Personally I think for a beginner, or even a hardened buff, who wants a good quality low cost refractor for planetary or Lunar viewing could do far worse than find one of these gems second-hand. I just missed one on e-bay a few weeks that went for £120 before I bought my one but to be honest even at almost £200 this scope appears to be a complete steal. The outstanding Crayford focuser which simply blows away any Chinese competition, coupled with its renowned optics and its simply marvellous finder would put it ahead of almost any scope in a similar price bracket on the used market. I'm converted to being a TAL fan on the strength of this scope. I was put off buying one initially because I felt (having had some experience of Russian equipment) that the optics would be wonderful but the package would be such as to render the quality of the optics useless. Nothing could be further from the truth at least as far as this scope is concerned. It has some foibles, it's not perfect, but its virtues outweigh the deficiencies by such a vast margin I would recommend it unreservedly. In fact I know if I had bought it new it would still have represented extremely good value for money. There was only one minor problem with the TAL 100RS. The tube ring felts were badly compressed and worn. This seemed to be down to the quality of the original felt. This was replaced with a good quality self adhesive felt from a local hobby shop at the cost of £1 in a nice deep red which I felt suited the telescope well. Cut to size and fitted this stopped any tube slippage and also meant the tube rings were more securely locked. I also wanted to service the mount for my own interest. Its a simple piece of engineering with typical Russian simplicity and solidity - two things I like very much in design. The mount was simple to strip down requiring only a few basic tools. Inside I found the grease was pretty sticky and similar to the grease that's often used in Chinese mounts. A quick clean with a degreasing agent and relubrication with white lithium grease was performed. The entire strip down and rebuild was accomplished in about 30 minutes such is the simplicity of the mounting. Strangely I don't feel compelled to modify the TAL much. When I bought it I assumed I would mess about to make it more perfect. Its not that it is perfect but just that its few flaws and oddities actually add to its charm. Apart from the new ring felts I can't see me making many changes to this - you don't mess with a classic after all. The TAL 100RS - It's not perfect but its virtues so far outweigh its few faults that if I could keep only one of my scopes this would be the one. Its solid, elegant and returns some great views for a modest investment. First light with the TAL 100RS came around a week after I acquired it. The sky wasn't particularly kind with loose high altitude cloud, moderate light pollution and a fair amount of atmospheric jitter but it was clear enough to at least see the Moon which was a 19% waxing crescent. As a consequence this is not an exhaustive first light report. So did the TAL 100RS live up to its optical expectations ? Was it really as good as its fans would have you believe. Well in my view it could be summed up in a word - BRILLIANT !!! The TAL was quickly taken outside and left to cool for a few minutes before first viewing. First view was via a Vixen NPL Plossl at 30mm and the detail visible was really quite astounding. A quick flip over to a 13mm Hyperion showed the detail increasing with the moons complete orb almost filling the EP. Detail and resolutions were fantastic. A small amount of greeny yellow false color was visible but hardly noticeable really. Turning up the magnification by using a 5mm Hyperion provided an incredible amount of detail but sky conditions were not great plus there was a fair amount of heat haze from a local factory which made the view a teensy bit wobbly and didn't allow the telescope to show its true mettle. 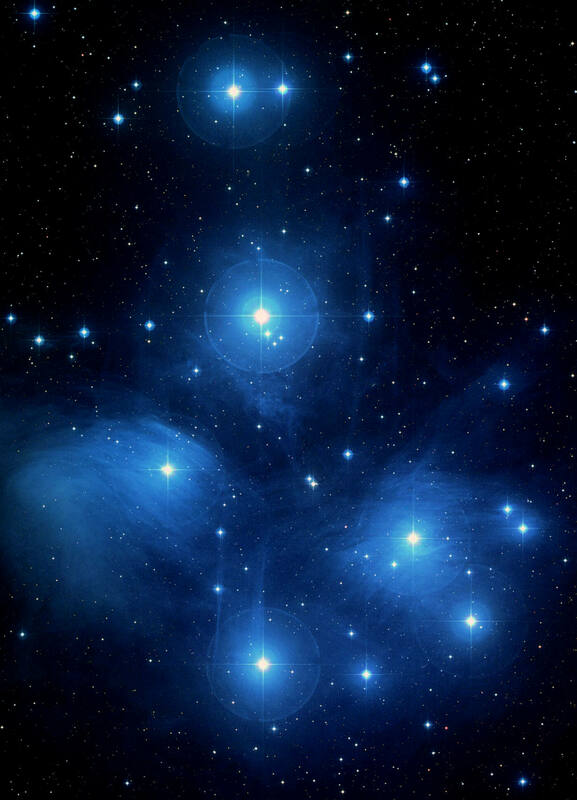 All of the eyepieces used above were used with the TAL diagonal supplied. I then tested with a Revelation 2" Quartz diagonal which showed no noticeable improvement in the views. Finally - and yes I know planetary is not what the Explore Scientific 14mm 100' EP was really designed for but I HAD to give it a go. Through the TAL it showed a very crisp image and a wider field of view but no more detail than the 13mm Hyperion. The combination of the ES 14mm eyepiece and the TAL was most likely hampered by the poor quality of the seeing. Having had a good view of the moon I decided I test out whether the eyepieces would come to focus without a diagonal. I tested out a Celestron Omni Plossl, 5 and 13mm Hyperions, 14mm Explore Scientific, SkyWatcher Panaview in 26 and 38mm and also tested with a 2" Barlow. Every single EP would come to focus using both the 1.25" adapter or where possible in basic 2" mode. Most eyepieces required the focus drawtube being pulled back further than you may imagine to compensate for no diagonal but they all came to focus. At times the drawtube was so extended that with the 13mm Hyperion and a 2" Barlow and no diagonal you could sit behind the TAL and imagine you were Percival Lowell. Overall the view of the moon were the best I have ever had and that includes using my 8" Reflector. My partner also had a look and was convinced the views were better than with the 8" reflector, crisper and with more detail showing. The Crayford focuser fitted to the 100RS performed wonderfully even pulling heavy loads with all the EP and EP/Barlow/diagonal combinations coming to focus well with a sort of visual 'snap'. The Crayford was very positive and smooth throughout. Its really better with lighter eyepieces but it will still haul the heavyweights efficiently with no slipping. The mount, although appearing very firm to the eye actually showed a surprising amount of judder and vibration when looking through the EP. Nothing nasty but just more than I would have supposed. With that said the TAL 100RS is no lightweight tube. Vibrations damped out in around 1 second so certainly no worse than many mounts carrying long and heavy tubes. With a little practice you can adjust the RA and DEC slow motion controls with minimum wobble to the telescope. Another foible with the mount was that you have to have the scope tube rather well balanced. Failure to do so will lead the mount to not respond to its slow-motion controls at times This is because if the scope goes too far out of balance the spring pushers that force against the slow-motion controls don't have enough power to push the scope and so the slow-motion controls become effectively disengaged. I spotted it when I changed over from a lightweight Plossl to the monster sized 2lb Explore Scientific 1400. Its not the end of the world and of course a scope should always be well balanced. The finder was as expected superb - one of the best I have used. The supplied TAL 6.3mm Plossl was fine. Its not a world beater but its certainly better than most. Unfortunately I don't really get on with small Plossls as I find the eye relief a problem which probably colors my views of the EP. Certainly it performed as well if not better than the Celestron Plossl I used to have. Unfortunately just as some interesting targets arrived the clouds moved in and it was time to pack the TAL up and take it back inside. I was impressed. The scope showed an amazing level of detail. The images were razor sharp and for a reflector fan like me it was nice not to have to wait on cool down. The TAL seemed to be stable after no more than a few minutes outside. The mount was a little more wobbly than I would like but nothing I couldn't live with, the optics are every bit as good as I had heard and even better. This telescope is definitely a keeper. The razor sharp optics combined with its superb finder and focuser all combine to create a scope with lasting worth. Mine wont be sold anytime soon and in fact I would go do far as to say if I could keep just one of my scopes (and that includes a classic Unitron) this would be the one I would keep. As the first light viewing with the TAL 100RS was compromised by generally poor conditions I thought I would give the scope a write up following a few nights viewing with it on better nights. A month or so after acquiring the scope I got to the opportunity to give the TAL a night out under a very dark sky in near perfect conditions with some nice targets to assess the scope against. For its second light use the TAL 100RS was mounted atop a Skywatcher HEQ5 mount which provided the telescope with a very stable base and allowed this telescope to truly perform to its best. Saturn was amazing, although its rings were nearly edge on the TAL 100 when coupled with a 5mm Baader Hyperion gave outstanding views with some subtle traces such as the ring shadow against the disk and some subtle shading of the planets atmosphere. A light yellow filter boosted the contrast and the TAL gave a very fine performance that would take some beating. The next target was the Bee Hive cluster with Mars nearby. Mars was not well placed but the TAL resolved it to a perfect red sphere with subtle traces of contrast. When the 5mm was replaced with a 38mm Panaview it was possible to take in most of the Beehive with the red planet nearby providing a very lovely view. Stars were pin point sharp across the field and the Panaview made the most of the scopes wonderful contrasty views with an ink black sky, beautiful bright and well defined stars in the company of a the small red orb of Mars. With the moon at 74% of full the TAL was turned to the moon and the views were absolutely superb with the Baader Hyperion 5mm. Surface detail was astounding with crisp clear views. The very stable sky conditions allowed this long refractor to really shine and show its capabilities. The views were so good a nearby 6" SCT equipped with a Nagler in 7mm was give a serious run for its money and in many way the view through the TAL were superior in its sharpness and contrast. Replacing the 5mm with the Explore Scientific 14mm 100' FOV eyepiece yielded the most spectacular sight of the night. The complete moon in the eyepiece with a level of contrast and detail that made it looks as if you were orbiting the moon and staring down through a porthole. Simply marvelous viewing. I was even more impressed after a night with the TAL mounted on an HEQ5. 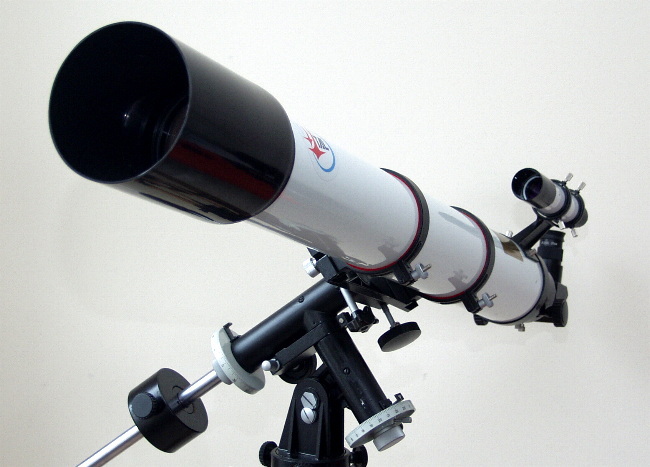 The telescope optics are beautiful providing clear, sharp and well contrasted views. A few other observers who had a look were equally impressed with this humble achromats performance. The HEQ5 mount gave the TAL a level of stability and solidity that allowed it to really show its capabilities. The TAL 100RS gave great views with a range of eyepieces with its long focal length allowing even humble Plossls to give their best views. The telescope isn't overly fussy with eyepieces but obviously better quality eyepieces will provide better and more comfortable views. Focusing was as ever smooth and sure with even heavyweight eyepieces although as the eyepieces weight goes up some feel is lost in the focuser I found. This is a very minor niggle and the overall quality of the focuser I would still rate as superb - in fact for the price its incredible. I could only reiterate that if this was the only scope I could own I would be happy. Its a true joy to own and use with a feel and quality all of its own. I had a few requests from people to add the latest TAL 100RS Manual as it doesn't appear to exist on the TAL website. The manual can be downloaded by clicking the cover to the right. All copyrights are respected and remain the property of TAL Telescopes Russia.